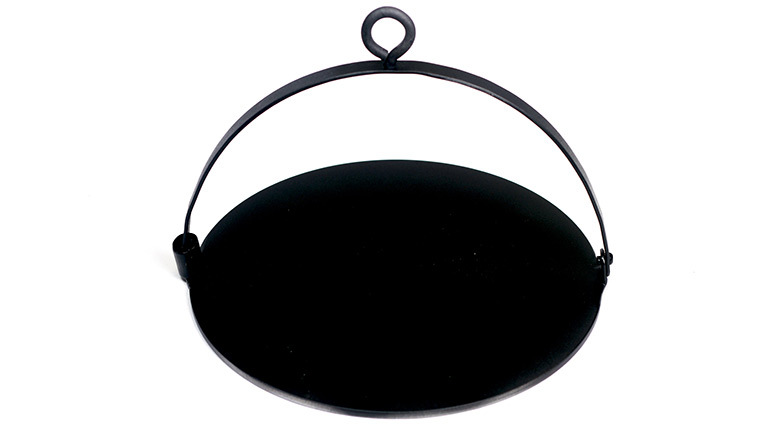 View basket “LONG HANDLED GRIDDLE” has been added to your basket. 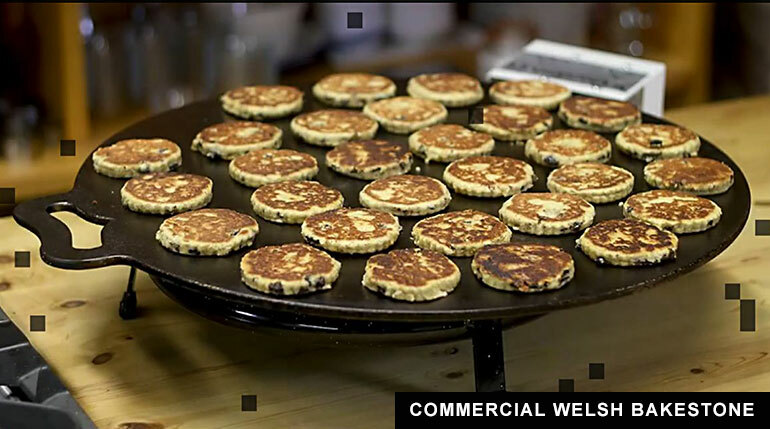 A traditional Scottish Girdle / Irish Griddle, from an original 170 year old design, which is used to bake authentic and historic Scottish and Irish regional recipes on. 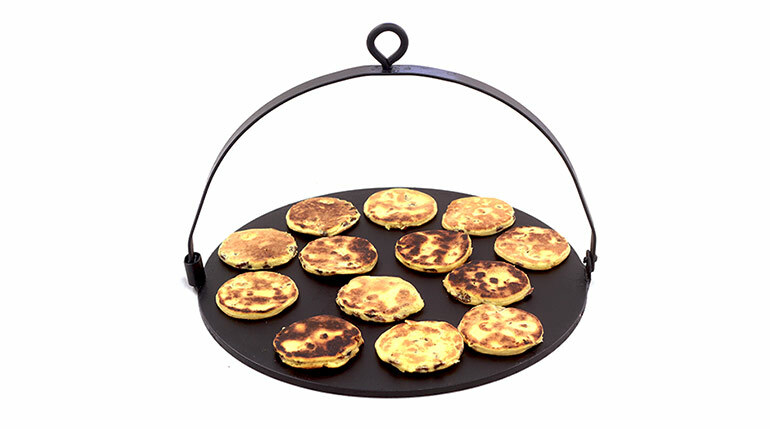 NOTE: The domestic sized (12 inch / 30 cm diameter) Scottish and Irish hanging plate/griddle have the same shape and design, as in history the same basic griddle, with a half-moon handle shape, was given different regional names depending on where it was used. 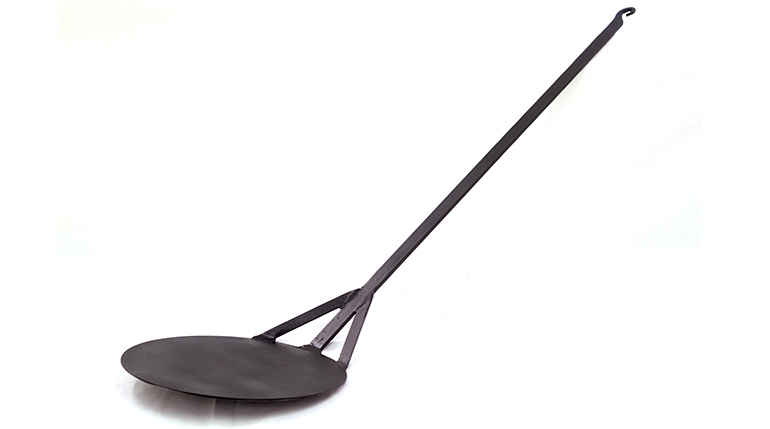 The distinctive half-moon shaped handle does fold flat for easy storage. 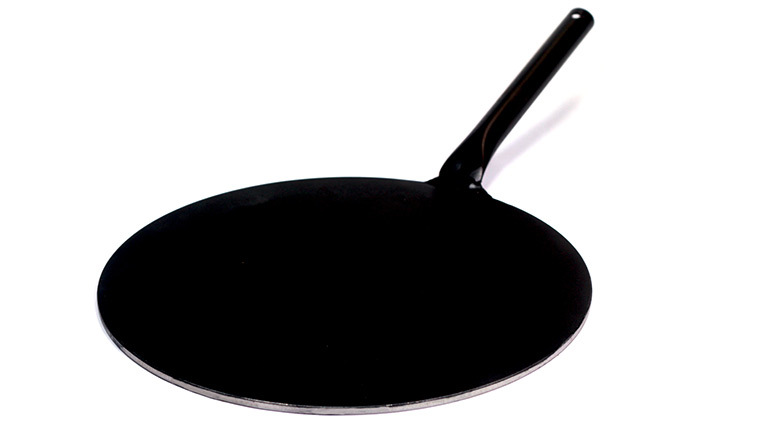 A traditional Scottish Girdle (yes, that is girdle not griddle, although it is also called a griddle) or Irish Baking Iron is used to bake authentic regional recipes on, such as flat breads, boxty, shortbread, bannocks, buttermilk scones, beremeal scones, potato cakes, oat cakes, pies, pancakes, tarts and biscuits etc. 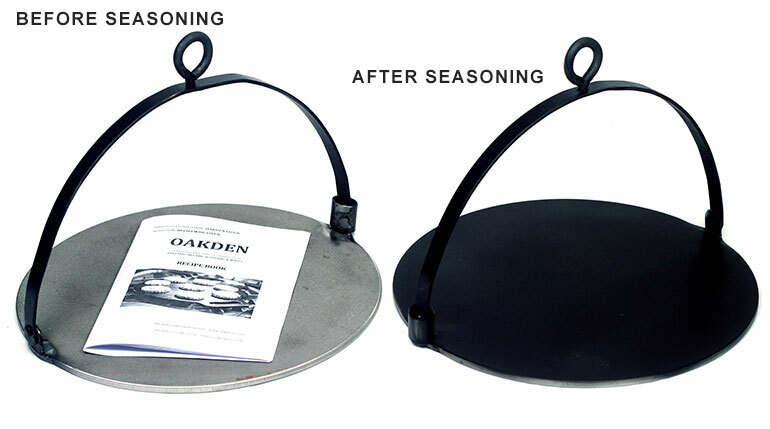 Please see ‘How To Season Your Griddle‘ for information on caring for this item. 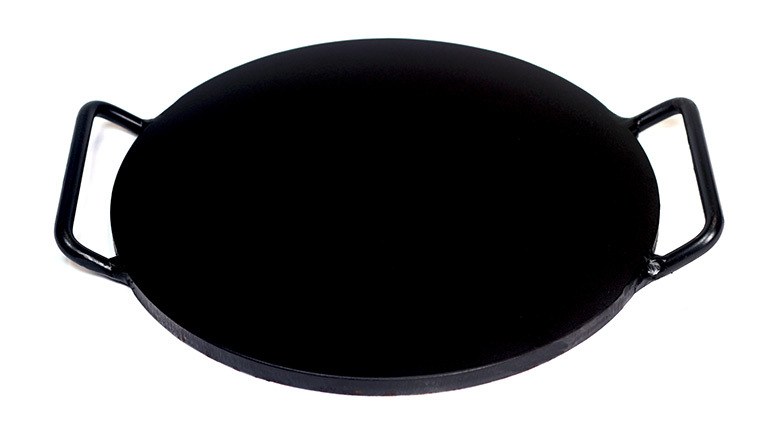 This is a hand-made reproduction, made from an original 170 year old design, and, because it is made of a thick steel plate (which is basically like cast iron, without the brittleness) it is able to be used on a wide range of modern convection / induction / radiation cookers and fires. 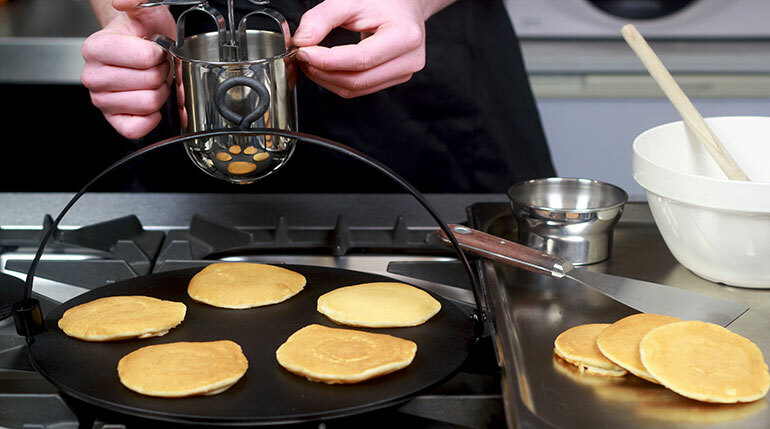 It can be used over an open fire, using a fire jack (trammel, pot-hook) to hang from, or using a fire dog to sit on, a modern gas stove, an electric stove and even on an induction hob or ceramic convection stove. Note: this is a heavy item – 8lbs / 3.6Kg.